Subjective tinnitus - This is a noise perceived by the patient alone and is quite common. Objective tinnitus - This is a noise perceived by the patient as well as by another listener. This form of tinnitus is relatively uncommon, and the location of tinnitus may be in the ear(s) and/or in the head. Peripheral site lesion - One located on the auditory nerve or cochlea, and includes dysfunction established within the auditory system that extends up to, but not involving, the brainstem. Central site of lesion - This refers to involvement of the central auditory pathways, beginning at the brainstem and involving other portions of the central nervous system. Abnormal neural activity - Tinnitus could be explained by abnormal neural activity in the auditory nerve fibers, which may occur if there is a partial breakdown of the myelin covering of individual fibers. A defect in the hair cell would trigger the discharge of connected nerve fibers. Chronic cochlear disorders - There may be increased spontaneous activity in the hair cells and neurons, resulting in tinnitus. There are two different kinds of afferent fibers in the auditory nerve: inner hair cell fibers with large diameters and outer hair cells fibers with small diameters. Thus, loss of signals from the cochlea might trigger tinnitus as a manifestation of a functional imbalance between the two sets of fibers. In addition, other abnormal changes of the cochlear fluids may result in tinnitus. Medications - There are some drugs which will cause tinnitus, such as excessive aspirin intake. 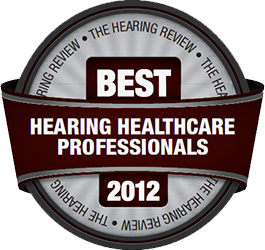 If you have tinnitus and are on medication, you should discuss the symptom of tinnitus with your physician. In many instances, once the drug is discontinued, the tinnitus will no longer be present. Listening to a fan or radio - This generally is more advantageous if one is attempting to go to sleep. A tinnitus masker - This device is a small electronic instrument built into a hearing aid case. It generates a noise which prevents the wearer from hearing his own head noise. The masker is based on the principle that most individuals with tinnitus can better tolerate outside noise than they can their own inner head noise. Avoidance - This includes making every attempt to avoid anxiety, as anxiety increases tinnitus. A person with tinnitus should avoid losing sleep and becoming fatigued, because, generally, patients who are tired seem to notice their tinnitus more. Also, the use of nerve stimulants is to be avoided, as excessive amounts of coffee and smoking contribute to the head noise.